Buying heavily discounted, popular software from second-hand sources online has always been something of an iffy security proposition. But purchasing steeply discounted licenses for cloud-based subscription products like recent versions of Microsoft Office can be an extremely risky transaction, mainly because you may not have full control over who has access to your data. 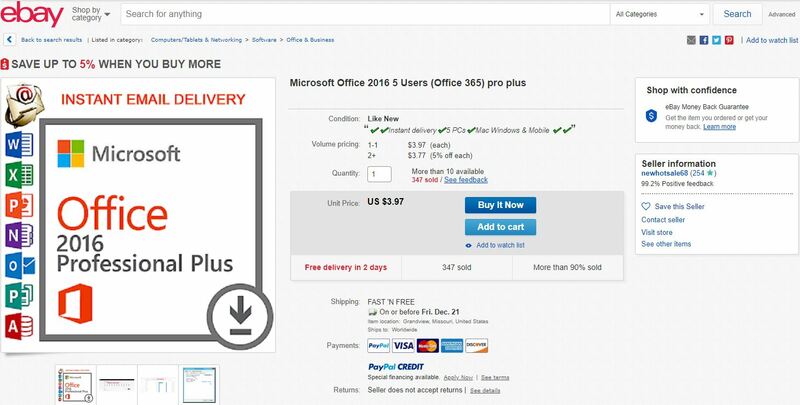 Last week, KrebsOnSecurity heard from a reader who’d just purchased a copy of Microsoft Office 2016 Professional Plus from a seller on eBay for less than $4. Let’s call this Red Flag #1, as a legitimately purchased license of Microsoft Office 2016 is still going to cost between $70 and $100. Nevertheless, almost 350 other people had made the same purchase from this seller over the past year, according to eBay, and there appear to be many auctioneers just like this one. 1. Log in with the original password and the official website will ask you to change your password! 2. Be sure to remember the modified new password. Once you forget your password, you will lose Office365! 3. After you change your password, log on to the official website to start downloading and installing Office365! This merchant appears to be reselling access to existing Microsoft Office accounts, because in order to use this purchase the buyer must log in to Microsoft’s site using someone else’s username and password! Let’s call this Red Flag #2. More importantly, the buyer can’t change the email address associated with the license, which means whoever owns that address can likely still assume control over any licenses tied to it. We’ll call this Ginormous Red Flag #3. Here’s what the profile looked like when the reader tried to change details tied to the license. 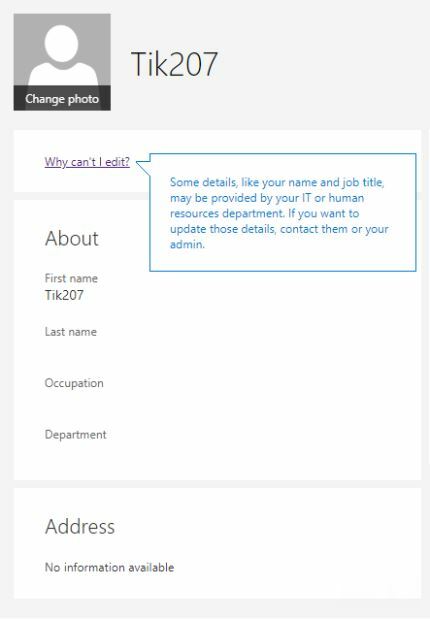 This version of Office prompts the user to sync all data and documents over to a 5TB Microsoft OneDrive account. What could go wrong? That’s not all: The account was set up so that the administrator (seller) maintained control over specific apps on the Office installation, including OneNote and Class Notebook. “I guess maybe the end result of all of this are the old adages, ‘you get what you pay for’ and, ‘if it sounds too good to be true than it probably is,’” the reader said at the conclusion of his email.